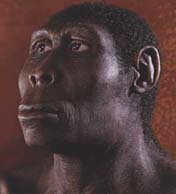 Homo Erectus, this is where B positive blood came from. B blood originated in Gorillas. 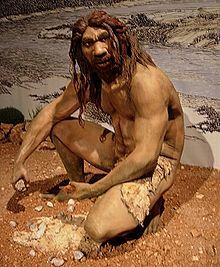 Homo Heidelbergensis, this is where A positive blood came from. The genes of these ones were used with a small percent of Neanderthal genes to create the Cro-magnons. The Cro-magnons were created as a warrior race, who were supposed to be big and strong, and good for working. However, a little knowledge is dangerous, and they soon took over completely, killing off as many Neanderthals as they could. The Neanderthals were the tribe Kings and Queens, the Shamans... The ones who had decided to tamper with genes, had created monsters, unspiritual war-like Cro-magnons brought patriarchy and war as they created a new - dog eat dog - culture. A blood originated in Chimpanzees. 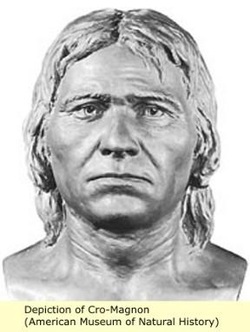 Cro-Magnon, these have mainly A positive blood. Neanderthals were the Ones that created, communicated & educated the Cro-Magnons before they rebelled against their Divine teachers. Neanderthals, these are where O neg blood came from. All rh negs carry this blood group, if you are A, B or AB neg you carry it recessively. If you are O positive, you also carry it recessively, and most other Europeans do, even if you are A or B pos.